« *** WINNERS *** Ronda and Mona are Living the Life of Riley! CONGRATULATIONS! 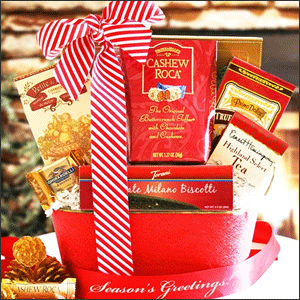 This season, send warm personal greetings with one of our delectable gourmet designs. Our Holiday Selections make an ideal gift for family, close friends and business associates. We offer a wide range of selections and each gift is packed and shipped with care. Shop early and avoid the last minute rush! Disclosure: I received no compensation for posting this giveaway.